The tradition of applying henna paste, or mehndi, to the skin has been a tradition in ancient cultures going back 5,000 years. These cultures include India, Egypt and other countries in Africa, the Middle East, and South America. 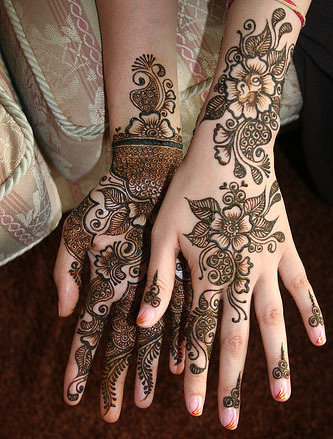 Mehndi body art is used in traditional and ritualistic ceremonies such as a wedding, during pregnancy, and for various celebrations. 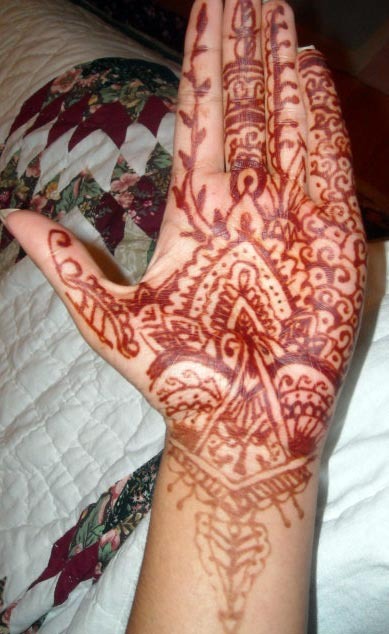 Henna is a powder, derived from a bush grown in hot, dry climates. 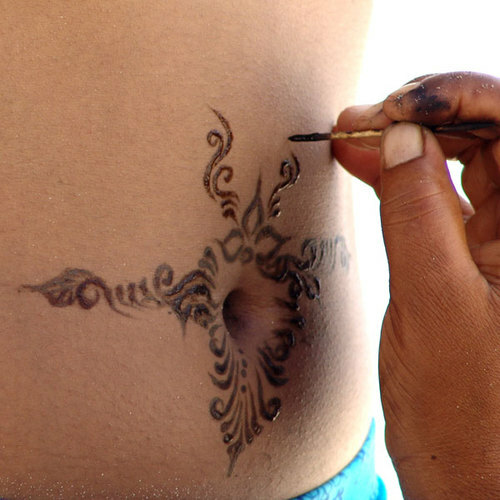 When mixed properly, henna paste creates a dark brown or orange stain. 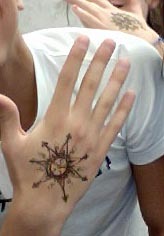 I do not used colored henna, which is created using a variety of chemicals. Natural brown henna paste is mixed with lemon juice and essential oils, such as lavender, and rarely ever cause any adverse reactions. I am available for gatherings in MA, RI, and southern NH. 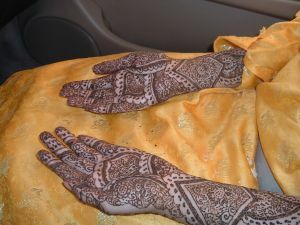 For more information about the history of henna and mehndi body art, please visit The Henna Page.